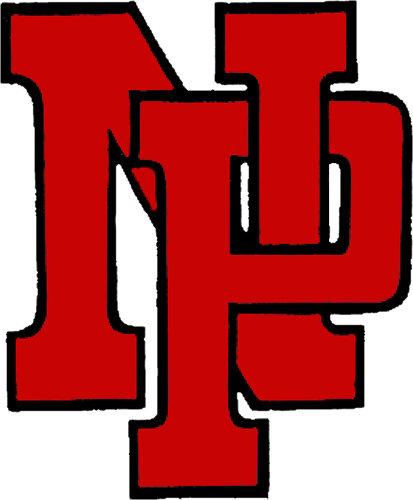 New Palestine High School senior Ashley Prange has been named the Gatorade Indiana softball Player of the Year. The award recognizes athletic excellence, high standards of academic achievement and exempleray character. She is hitting .596 this season, leading the Dragons to a 29-1 record and into the State Finals for the second consecutive season. The Dragons won the 3A state title in 2017 and will seek a second straight title at 4:30 p.m. Saturday at Bittinger Stadium in West Lafayette. The Dragons will face South Bend St. Joseph in the championship game. Prange has hit 17 home runs and driven in a state-record 70 runs this season. She also holds the state records for single-season home runs (21) and career home runs (46). She is second in state career runs batted in with 180. She has signed a letter of intent to play softball at Ohio State University. Away from the field, she has a 4.09 grade point average. She is a member of the Dragon Leadership Program, has served as an elementary school tutor, and she has volunteered on behalf of the Hope Center and Best Buddies International. Prange’s state selection also makes her a finalist for the national Player of the Year award. She receives a $1,000 grant to donate to a local or national youth sports organization of her choice as part of the Gatorade Play It Forward Program. The Gatorade Player of the Year program recognizes one winner in each state and the District of Columbia, as well as a National Player of the Year, in each of 12 different sports. It was the second major honor given to Prange in a week. She also was featured in Sports Illustrated’s Faces in the Crowd section in the issue that was released last Thursday. 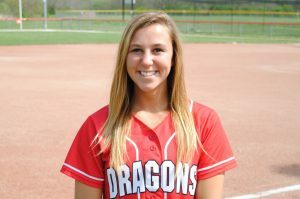 Senior Ashley Prange has been named the Gatorade Player of the Year for Indiana softball.